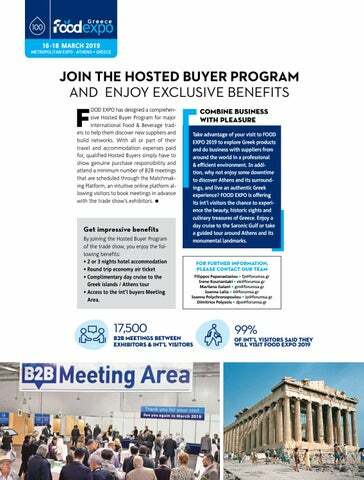 Get impressive benefits By joining the Hosted Buyer Program of the trade show, you enjoy the following benefits: • 2 or 3 nights hotel accommodation • Round trip economy air ticket • Complimentary day cruise to the Greek islands / Athens tour • Access to the int’l buyers Meeting Area. 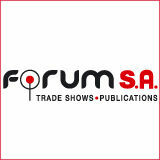 COMBINE BUSINESS WITH PLEASURE Take advantage of your visit to FOOD EXPO 2019 to explore Greek products and do business with suppliers from around the world in a professional & efficient environment. In addition, why not enjoy some downtime to discover Athens and its surroundings, and live an authentic Greek experience? FOOD EXPO is offering its int’l visitors the chance to experience the beauty, historic sights and culinary treasures of Greece. Enjoy a day cruise to the Saronic Gulf or take a guided tour around Athens and its monumental landmarks.